Job 1:21 by Jason Edmond Beaird, ca. 2011. For our “Saturday Oldie,” we have this record was made at Sam Cooke’s very first recording session in 1951, when he was 19. It sold over 65,000 copies, which was an excellent showing for a debut gospel recording. Dear Lord, grant me the grace of wonder. Surprise me, amaze me, awe me in every crevice of your universe. Delight me to see how your Christ plays in ten thousand places, lovely in limbs, and lovely in eyes not His, to be the father through the features of men's faces. Each day enrapture me with your marvelous things without number. I do not ask to see the reason for it all; I ask only to share the wonder of it all. 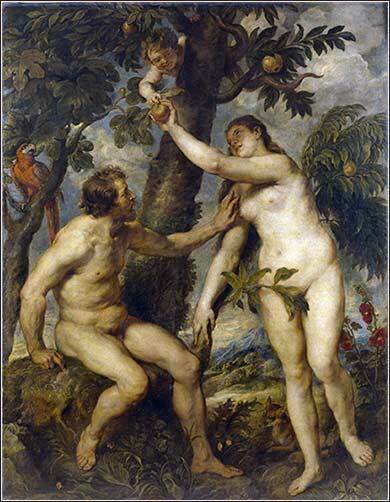 The Fall of Man by Peter Paul Rubens, ca. 1628. "Who is this that darkens my counsel, using words without knowledge? Gird your loins like a man; for I am going to ask questions, and you are going to answer me. Where were you when I laid the earth's foundation? Tell me, if you know, who marked off its measurements? Surely you know that! Who stretched the guide string? Where were its foundations fastened, and who laid the cornerstones, while the morning stars sang together and all the angels shouted with joy? Who shut up the sea behind doors when it broke forth like a babe from the womb, when I made the clouds its garment and thick darkness its swaddling, when I set its boundaries and put into place doors and bars to constrain it, when I said, 'This far you may come, but no farther, and here is where your proud waves will be stayed'? Have you commanded the morning since your birth, showing dayspring its place, that it might take hold of the edges of the earth and shake the wicked out of it? Can you hold the beautiful Pleiades in place, or cut the cord that binds Orion? Can you make the constellations appear in their season, bringing out the Great Bear with her cubs? Do you know the laws of the heavens? Can you establish God's dominion over the universe? Can you shout to the clouds to cover yourself with water? Do you send lightning bolts on their way? Do these report to you, saying, 'Here we are'? Who endowed the heart with wisdom and gave understanding to the mind?" This is less than half of God's diatribe against Job's prideful speech, in response to Job's espousing his theories of the universe. Job thinks he has things pretty well figured out, but God disagrees. he basic idea is repeated throughout the Bible, e.g., "Trust in the Lord with all your heart, and lean not on your own understanding." (Proverbs 3:5) But nowhere else is it stated with such forcefulness or so directly and personally: Job 38 is a wonderful passage to keep handy and read from time to time, for we inevitably start thinking we have something all figured out, and we need an occasional wake-up call. Job is probably the earliest written book in the Bible. God thus began his written advice to mankind with a stern warning about confidence in our understanding and opinions. If it is "Lesson # 1", most of us need to return to kindergarten. The French poet, Andre Gide said, "Believe those who are seeking the truth. Doubt those who find it." He might well have said, trust your mind when you are seeking the truth, but become skeptical when you think you know it. This is why salvation is a matter of faith, not a matter of knowledge. A lack of preconception and an attitude of acceptance is the only way we can find Christ. This is a major theme in 1 Corinthians: "Let no man deceive himself. If any man among you seemeth to be wise in this world, let him become a fool, that he may be wise." We cannot know God. We cannot understand Him. There are things that our brains are incapable of grasping. The Talmud puts this very nicely: "We do not see things as they are; we see things as we are." Here is an example: Many people struggle with the concept of predestination. If God is all-knowing, then He knows (and has always known) who will be saved. But we have free will. We can choose to believe or we can choose not to believe. But, logically, these two principles are absolutely contradictory. But it is not God, but logic, that will fail in the end. For although our minds tell us that logic is infallible, logic is not truth; it is our attempt to make sense of the world. Logic is a fallible construct of the human mind. It is a useful tool, but it is not truth. The first words of the Sermon on the Mount are: “Blessed are the poor in spirit, for theirs is the kingdom of heaven.” (Matthew 5:3) This is a little confusing, because “poor in spirit” sounds like a person without much spirit, but that is not the meaning. The phrase means that we must have the spirit of a poor person; that we must recognize that we do not really know very much. 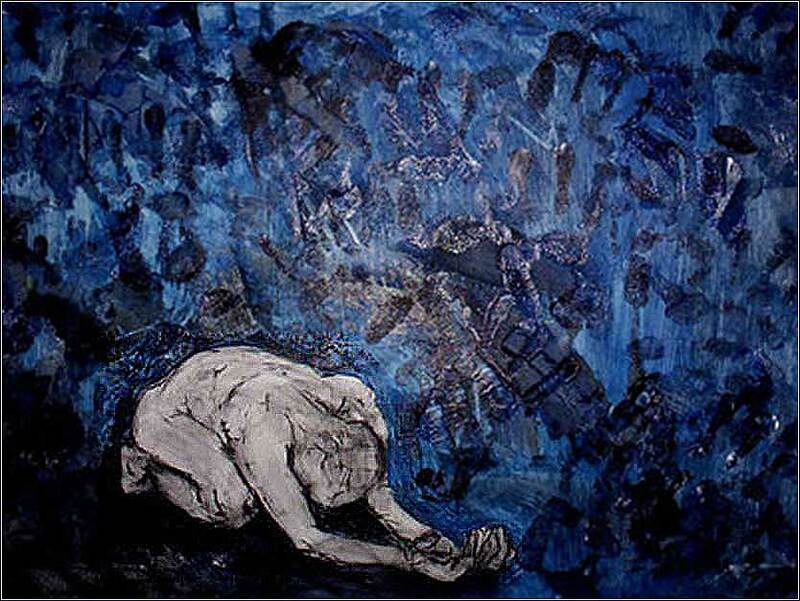 We must be spiritually hungry, we must realize our impoverishment.